Episode 9 - Flipping houses for a living. 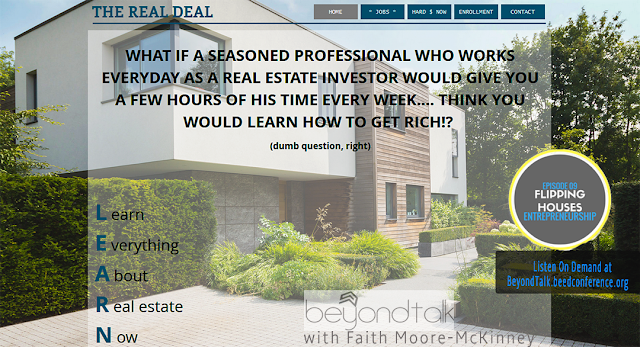 Today on Beyond Talk with Faith Moore-McKinney, Faith engages you for quality Q&A with Real Estate Investor, Anthony Morman as he speaks L.E.A.R.N. -learn everything about real estate now along with how to structure a deal and his strategy for developing sound future business partners.